Personally my favorite is Krysten Ritter’s floral and lace trimmed dress. Her hat is just big enough and nice compliment to the dress itself and the darker navy shoes. So after looking at all these beautiful hats and dresses, I need help deciding what to wear to Queens Cup her in Charlotte. Our lovely version of the Kentucky Derby. My work purchased a tent, will provide food and beverages and of course always a good time. So since I already have a tulle skirt and try to wear it every chance I get here a few options I was thinking about for Queens Cup. 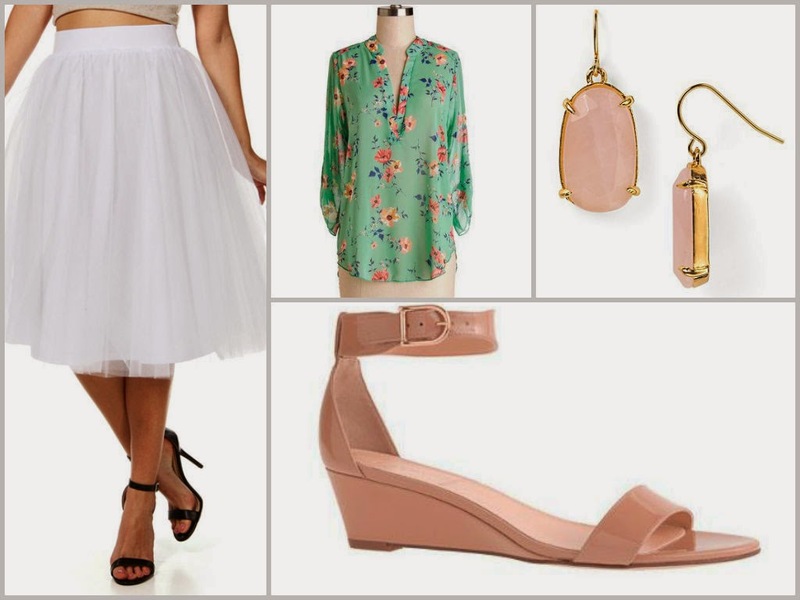 I am fan of blushes and neutrals, especially for the Spring so that top just speaks to me. Those earrings are a bit out of my normal routine. I am a studs kind of girl but LOVE a good statement necklace. However with the floral going on I know it best to avoid a necklace with this ensemble. The next look is quite similar, let’s be honest almost identical. What can I say? I know what I like. So what are your thoughts? Probably that I am ridiculous and basically just need to pick a shirt and get over myself? Well I might, but I like opinions too. 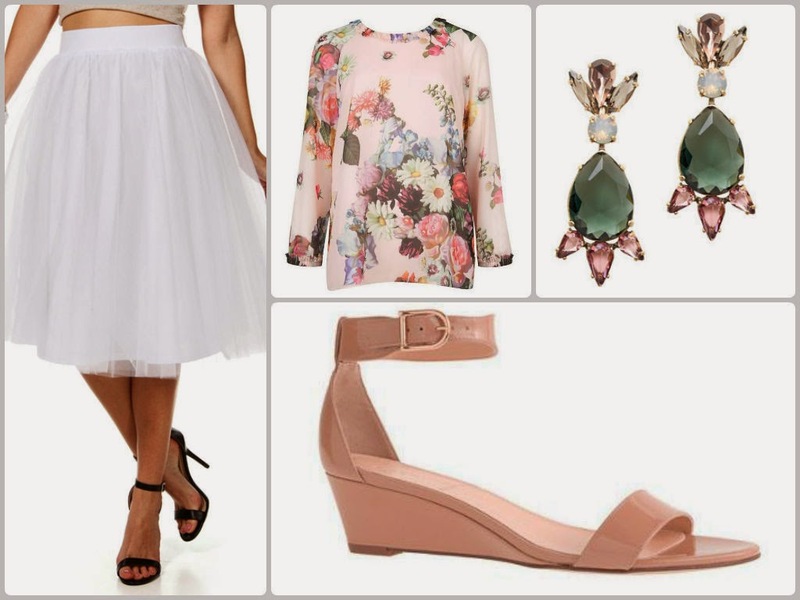 This entry was posted in Fashion, Florals, Skirt, Tulle on March 19, 2014 by SimpleeSampson. The floral blush top is perfection! I vote look #1.